Schaller Pool Water provides quality pool water services to residential and commercial customers in Clinton, NY and the surrounding areas. Guaranteed! We handle all your bulk water transportation for pools, hot tubs, and construction sites. We offer competitive pricing, prompt service, and a dedicated, experienced team to finish the job with quality. 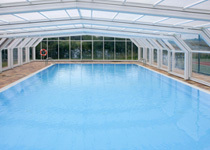 We promise to fill your pool with crystal clear, chlorinated water. Our bulk water filling service is backed by 30 years of experience, so you can trust us to get the job done right. We also offer emergency services, helping you clean up and refill your pool after a natural disaster. Discounts are available for veterans and disabled children. We can fill your pool or hot tub with crystal clear, chlorinated water so you can enjoy a swim anytime during the hot summer months. Do you need a bulk supply of water for a commercial project? We haul chlorinated and spring water for any commercial need. We have been hauling water to residential and commercial properties for more than 30 years. If you need a bulk supply of water, we can deliver it! Don’t fret about how to fill your pool this summer. Instead, give Schaller Pool Water a call and we’ll fill it up! We’ve been hauling water and filling pools for more than 30 years. Our professionals are available to answer any of your pool water questions. Whether you need water for a pool or a construction site cleanup, we’ll deliver it! 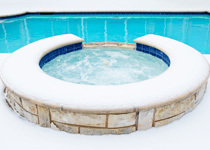 Schaller Pool Water has been carrying pool, hot tub, and bulk water for the Clinton, NY and surrounding areas for more than 30 years. Our trucks are equipped to hold and sustain quality spring and chlorinated pool water to and from business sites. © 2019, Schaller Pool Water. All Rights Reserved.